I've been following an interesting thread on ProZ about bugs and defects in SDL Studio 2009. After three pages of detailed defects signaled by various translators, SDL has finally shown up, with a long and detailed post. In its post SDL technical supports comments on the various defects. In a few instances by saying they are difficult to reproduce and under investigation, for others suggesting a workaround or an existing hot fix, and for most indicating that they are going to be corrected with Service Pack 1. While I applaud SDL's responsiveness in this instance (especially in a public forum), the number and seriousness of the defects indicated makes me think that beta testing had not been completed properly: these are the kind of issues a well-designed beta test should have caught and correct before the release of the product. My advice to everyone who can wait is not to install Studio 2009 until Service Pack 1 has been released and tested by users, if you can wait. This is what we are going to do: we don't have time to participate in an involuntary extended beta test of a buggy product. I've been taken to task by Laszlo and Richard in the comments to this post for criticizing SDL the very moment they are doing the right thing. Just to be clear: I do acknowledge that by responding to these bugs reports publicly they are doing as they should. I applaud the fact that they are acknowledging these as bugs, and that, by slating most of them for correction with SP1, they are promising to correct them. I commend SDL for this and for their greater responsiveness to their customers' complaints. And I acknowledge I'm probably biased against Trados (if so, it is because of many years of experience and frustration with their program). But I still think that these bugs, and especially the apparent seriousness of some of them, may indicate that the beta testing was not thorough enough. How many bugs would you expect from a new release? I could probably find more than this if I spent the time on it with products that have been on the market for longer. I also wonder how many are bugs that really affect the way you work. I guess it is a sure thing that some will be problematic but I hardly think any Beta Programme (apart from one designed by you of course) would pick everything up. I would agree with you on the Service Pack point though. I do not think I would use any software, barr none, until the first Service Pack saw the light of day. It's not so much how many bugs: I would of course expect many minor issues coming up in a new release of some piece of software - especially if it is something radically new (as SDL Studio 2009 is), but rather the apparent seriousness of several of them. No need to quip about "apart one designed by you of course": never said I would be able to design a better beta test - It's not my job, and I'm not a programmer or developer. But I have participated in enough testing (as tester), and worked long enough in a software company, to recognize the symptoms of a test that did not go deep enough. I have also been following the ProZ thread in this regard and am quite surprised by your view on this. I often see long and vicious attacks on SDL because of their lack of support for their users, and because of the quality of their software. Now it seems that when they are trying so hard to be responsive, and if this current ProZ thread is anything to go by are supporting all of their users off forum and on forum, they still can't do enough. I have not often seen another company of this size being quite as considerate in this regard and I think they should be given credit for this, not taken to task as you have done. I think it is a delicate act when you release a new software product. Delicate in that you can probably continue to test ad infinitum. The longer you hold onto a new product the more scope creep you will see and more testing required etc. As you seem to be knowledgeable on this subject I am sure you will acknowledge that you have to release at some point come hell or high water and continue to develop and test as a cycle of continual improvement. I often read through the forums for other software products and it is not unusual for bugs, even serious ones, to be reported and if the company concerned is small and agile enough (MemoQ for example) then they are acknowledged and added to the list of things to do. I have yet to see Microsoft react in this way, in fact they will deny the existence of bugs even to other developers relying on their environment. Now, SDL are not in that league but I think they are doing a damn fine job of reacting at this level and I for one would not criticise them for it. I have played with their new release and to be honest, I have not been hindered by any of the bugs mentioned in the ProZ forum. I have tried to produce a few, and I can do it in some cases, but they hardly affect my work. Have you tried the software yet? Thank you for your thoughtful comment. I probably am biased against Trados. If so, it is because I've grown increasingly frustrated over the years by seeing the same issues unresolved, version after version. In my post I do say that I applaud SDL's responsiveness in this instance. However, based on the experience of others, I still think I'm justified in thinking the software has been released after insufficient beta testing. What you say about Microsoft, is, of course, very true, but don't you think that comparing SDL's responsiveness to bug reports with Microsoft's is setting the bar alarmingly low? As I mentioned in my post, I've not tried Studio 2009 yet. I've no intention to install it until SP1 is released, in fact, and probably I'll wait even after that (unless compelled to do so by some customer) until I see from other translators' experience that the service pack does not, in fact, break the program some other way. I am training myself in Wordfast. It has way less bugs and is what my teacher recommends and use. The work produced with Wordfast can be transformed into Trados compatible documents. Unless I am missing something in the discussion,I do not understand why translators force themselves to use Trados. I have bought Studio 2009 and hardly managed to use it for 20 days. 2) Managed to start it and it kept crashing with endless errors relating to tags, file names too long and other crap. Another 5 days later i finally got a new License and Studio works again but....uhpps it's not my license but that of another customer so the nice lady asks me to kindly return it (nth time...) and finally gives me my license. 4) Since then I have been using Studio for a huge job with the following issues. E) Last but not least what annoys most is the arrogant stance SDL-Trados has taken in not putting up a decent support section, leaving lots of users wandering in forums and blogs like slowtards in search of solutions for bugs that SDL SHOULD PROVIDE. Also in those cases NO SUPPORT except one time where i sent an email the usual wrong email address (now they are smarter....you don't even find those email contacts so you don't bother them) and i was contacted by someone whom, instead of solving my problem, proposed me to buy a support contract. And...forgive me Mr SDL, but i don't think i have to buy a SUPPORT CONTRACT to fix the bugs that YOUR Software has. I think that before they become the standard DE FACTO, SDL TRADOS has to bear more respect towards those who spend their money in their software. Ah...i paid for a working software and not for a Beta Version...for those SDL should pay us for being their guinea pigs. "Unless I am missing something in the discussion,I do not understand why translators force themselves to use Trados." Look at the filter capability alone and ask that question again. Then once you have done that learn about the product properly and then you won't ask that question again. In the light of the comments above and elsewhere, added to the comments of experimented translators using other CAT systems, I am not impressed by your remark. You simply hit what you thought was the weakest link and you have not convinced me into purchasing your product. Which remark? from my post or one of the comments? Unfortunately there are so many "anonymous" posters here that it can get a bit confusing. Guys, if you want to post as "anonymous", fine with me, but try to identify yourself somehow, so that others can refer to your comment. I was commenting on the general bad flak that I am picking on Trados from various sources. Is the Trados filter capacity outstanding compared to other CAT Systems? Maybe there is a forum somewhere that compares Cat performances and answers these questions impartially. I am an newbie here and these systems can be time and money drains. 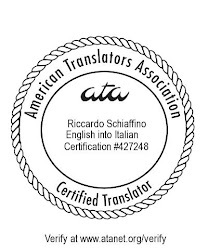 There is indeed a site where you can find comaprison of various translation tools: Jost Zetzsche's excellent Translators Training. For a very moderate yearly subscription you can get indipendent reviews, information and comparisions of various different translation tools, and much else. I'm going to wait for Windows 7 to upgrade my translation software. This change is bound to throw a spanner in the works. XP to Vista was not very smooth with Trados 2007.